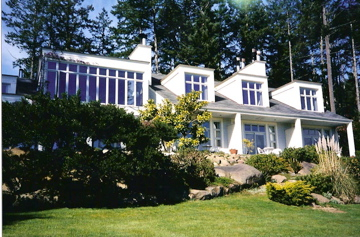 Originally established as the Woodstone Residence on Galiano Island, BC in 2011, the Looking Glass Residence has a legacy that reaches back to 2002. That was the year a small group of concerned parents, having shared a desperate struggle to find treatment for their own daughters, doggedly set out to establish the first residential treatment centre in Canada. It was a decade-long labour of love, trust, and tenacity. But, working closely with medical professionals, the Government of BC, generous donors, and countless volunteers, the founders of the Looking Glass Foundation achieved their dream, and eventually opened the doors of the Woodstone Residence. In 2014, we relocated our treatment centre to Vancouver, renaming it Looking Glass Residence. In a generous gift to the Foundation from the Loughheed Family, the new location is a stunning 9,380 square foot heritage home in the beautiful Shaughnessy neighbourhood - the former site of the Ronald McDonald House. It opened on August 1st with 10 beds, and soon expanded to 14. The new Residence is a unique collaboration between the Looking Glass Foundation and the Provincial Health Services Authority (PHSA). While the PHSA manages the clinical operations of the Residence, the Looking Glass Foundation contributes integral programming enhancements and personal touches to ensure the Residence is fully responsive to the needs of sufferers, and readies them in a meaningful way to sustain a healthful life beyond their stay with us. The collaboration embodies our shared commitment to preserving and enhancing the legacy of holistic, intensive, and caring residential treatment -- as originally envisioned by our founders. We are parents, friends and individuals who know the devastation that an individual suffering with an eating disorder goes through because we have been there. Copyright © 2018 The Looking Glass Foundation | All Rights Reserved.